Current interest in edible insects creates opportunities for your business to generate publicity and increase sales. At this point, just selling edible insects can make the news. Not guaranteed but if you move quickly, it is still a news worthy trend. Send the press release to your local newspapers, periodicals, TV and radio stations. Odds are good that you will get calls. Invite customers to join you for an Entomophagy Tasting Event. You can offer a variety of insects along with snacks you create like “Ants on a Log” or “Chocolate Chirp Cookies”. It’s an experience your customers will never forget. 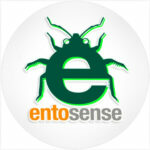 Donate edible insects to schools and groups. Many schools have segments on entomophagy (eating bugs) and groups from Scouts to 4-H love to work with edible insects. It’s an easy way to sponsor a fun and educational project. Chefs love the black ants. Chapulines are perfect for Mexican restaurants. Silkworm dolls add a nice umani flavor to many soups. Set up a special event and call the press. The photos from the event will be worth gold. Did you know that scorpions glow? Bartenders can create a bit of theater by showing customers how the scorpion glows under a UV light before adding it to a Flaming Scorpion Cocktail or a shot of mezcal. No one ever forgets when and where they ate their first scorpion.